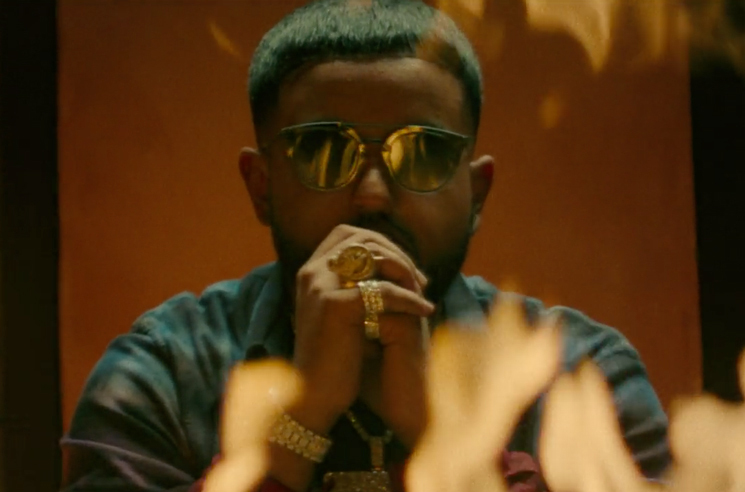 Watch NAV's Video for "Know Me"
After sharing the new single last week, NAV has now rolled out a video for "Know Me." In the David Camarena-directed clip, NAV lets viewers know that he owns a bright red Ferrari and that he parks it in the drive of a giant house, which features scantily clad women (and a python) roaming the halls. The endless flex also includes the flash of a "Low Life 4 Life" chain. Earlier this year, NAV released his debut studio album Reckless. He has also appeared on albums from Belly, Travis Scott, A Boogie wit da Hoodie, Tory Lanez, 88GLAM and more.